AT89C51 is low-voltage, high-performance CMOS 8-bit microcomputer with 4K bytes of In-System Pr.. 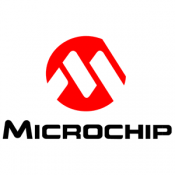 The Atmel AT89C52 is an 8051-based Fullly Static 24MHz CMOS controller with 32 I/O Lines, 3 Timers/C..
AT89S52-24PU is low-voltage, high-performance CMOS 8-bit microcomputer with 8K bytes of In-System Pr..
ATMEGA 8-16AU Manufacturer: ATMEL Manufacturer Part No: ATMEGA8-16AU Package / Case: TQFP-3..
8BIT MCU, 256K FLASH, 5V, SMD, 2560 CPU Speed: 16MHz Controller Family/Series: AVR MEGA Core Size.. 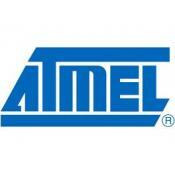 Description Manufacturer: ATMEL Manufacturer Part No: ATMEGA32-16AU Package / Case: TQFP-32.. Description: ATMEGA32A ATMEGA32A-PU chip microcontroller AVR 32K Flash 8 DIP-40 Features: •.. The ATMega32U4 is Atmel's low-power 8-bit AVR RISC-based microcontroller featuring 32KB self-program..
Datasheets ATmega(48,88,168)PA Datasheet Product Photos 32-TQFP ..